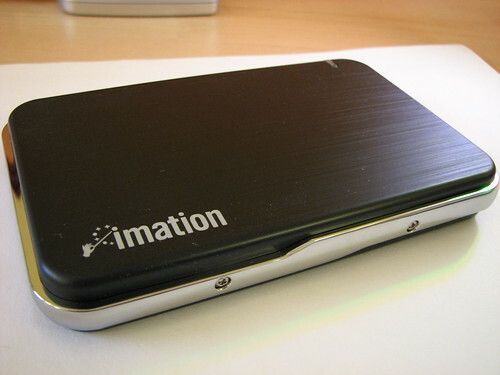 The Imation Apollo drive is a discrete and simple portable hard drive. The rectangular shaped drive has a solid feel with a clean black exterior, finished with a chrome trim around the sides and is available in a range of capacities starting at 160GB up to a colossal 500GB. It’s difficult to believe that just a few months ago, 500GB drives were available only in desktop models, but now they fit in your pocket. Using USB, the Apollo is a plug and play device, and as with most external drives of today, requires no need for drivers or external power source. 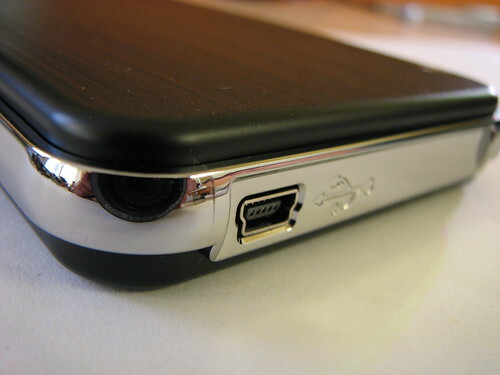 Computers of old may find that they require the extra USB splitter to provide the drive with enough juice to get running. However, the XP-era PC that I’ve owned for the past five years seems to do just fine without it. Once plugged in and ready for use, a blue LED indicator lights up to show that the drive is powered and active. Performance-wise, a 700MB file took 32.4 seconds to transfer from my MacBook Pro hard drive. My secondary performance test was the transfer of 1000 JPEG files totalling 2GB. The Apollo completed this on an empty drive in 1 minute 54 seconds. These scores are similar to those of the drives I’ve tested in the past. The limiting factor is perhaps the fact that these drives typically pack the same spec hard drive units limited up to 5400RPM and transfer over USB as opposed to FireWire 400/800 or eSata. That should soon change with the upcoming USB 3.0 spec to arrive next year. Bundled with the drive is ArcSoft TotalMedia Backup that surprisingly works on both Windows and Mac operating systems. I didn’t get around to using this as the Time Machine backup feature of the latest iteration of Mac OS X already does an excellent job of backing up. However, for those that are interested, this capable backup solution allows you to be selective of what files are backed up including the ability to limit what file formats are copied across. So you could set it to backup just your music or image files. 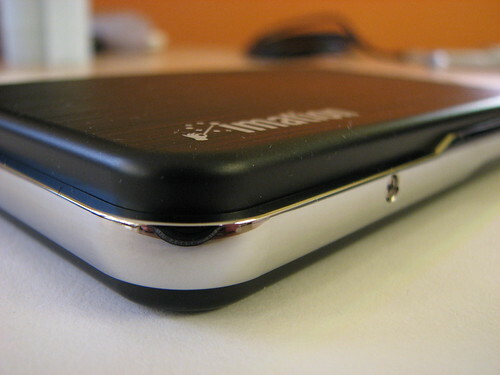 The usual backup functionality is included with scheduling and manual backup options. Strangely, on my hunt for the best prices for this drive, I discovered that the 250GB Apollo was priced around the same as the 160GB model. For about £60 you can get the 250GB model. 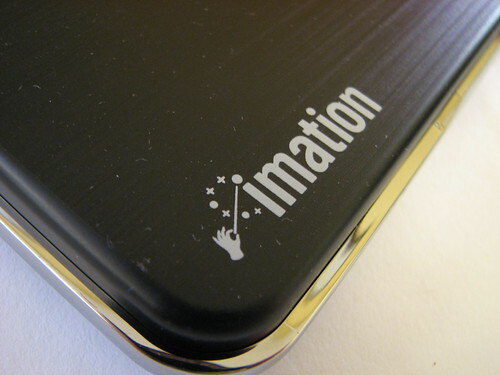 Whilst Imation are established in the storage market, there are other big name brands out there with similar or cheaper priced drives.